More than just a car rack, the Saris Bones 2 Bike Rack is a statement of style, design, convenience and durability. It has a 2 Bike Capacity. Tough resin construction which is soft on your vehicle and great at transporting your cycle. Rubber foot pads adjust to contours of all types of car/van/4X4. Integrated straps to hold and stabilize bikes on 2 different levels. Its one of the strongest frames on the market. Carrying three bikes on the car has never been so stylish, the Bones has become a legendary cycle carrier, where its function is as well engineered as its form. 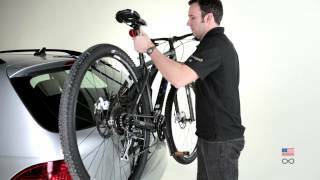 Easy to install, easy to use, and most importantly takes care of both the car and the bikes during transport. 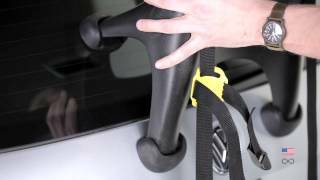 Please see the supplier site for compatibility guides.The Saris fit guide is a great way to see what car rack suits your car.